There are two types of web services. SOAP and REST web services. We usually deal with SOAP web services in Oracle SOA but we can also create RESTful web services in SOA. RESTful web services are built to work best on the Web. Representational State Transfer (REST) is an architectural style. In REST data can be transmitted over a standardized interface (such as HTTP). 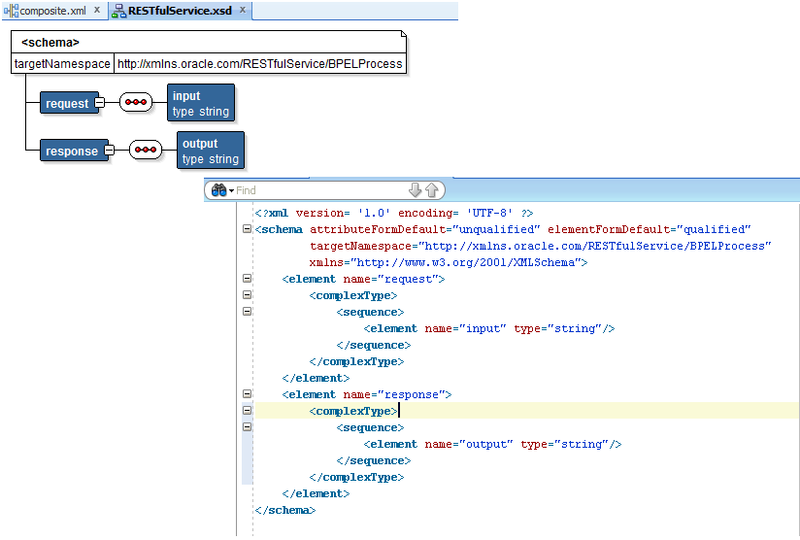 This post shows how we can create RESTful web service in Oracle SOA. Follow below steps to create it. We will use below schema for this post. First create one SOA project. 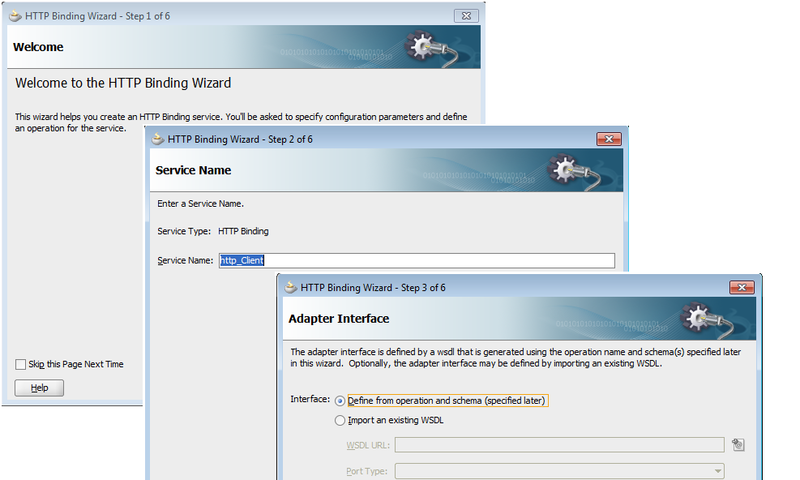 In composite.xml file drag “HTTP Binding” adapter and start configure it. Choose “service” from type drop-down list. Choose request and response element from your schema. Once you create HTTP binding adapter, drag a BPEL process to composite.xml file. Wire your BPEL process with HTTP adapter. 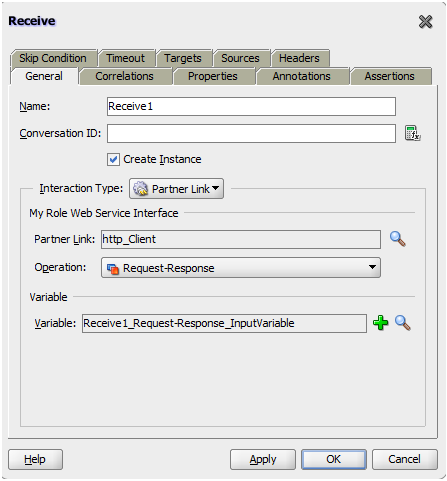 Inside BPEL process, add receive activity and link it to HTTP adapter to receive the request. 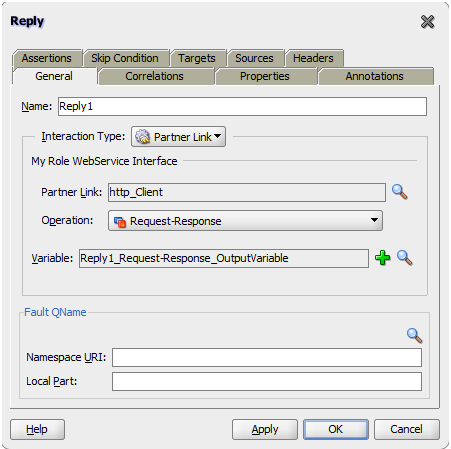 Add reply activity and link it to HTTP adapter to send the response back. You can test your composite using below URL. This post is just to show how to create Restful service and you can add whatever logic you need inside BPEL. 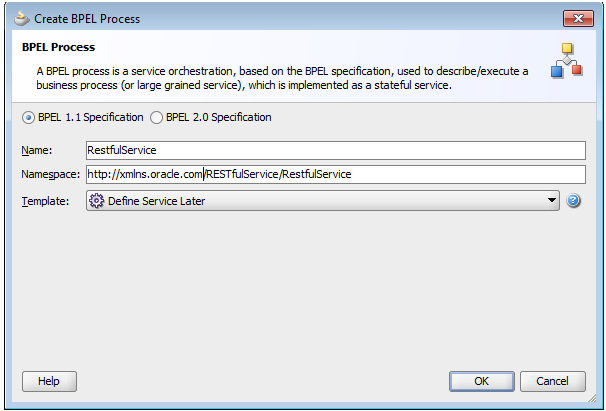 How to test a Rest Service using SOAPUI tool. can we return json using ACCEPT:application/json http request header... any suggestions? Hi, i want to setup the request as mentioned like below sample. Here i want to setup Doctype & schemalocation. How i can add it on top of the root element. I want to add the doctype & schemalocation on top of the root element. i have given sample in below.